4 points for restaurants, 3 points for airfare, 2 points for gas, 1 points for the rest of your purchases. It is not a bad deal at all but it also depends of your purchases. Many advantages of American Express Credit Card. 10.000 points for $1000 purchase is fair. $99 annual fee is not much for such a rewards card. Besides $0 annual fee for the first year. 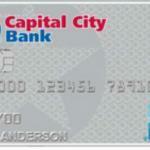 Unlimited rewards with Capital City Bank Premier Rewards American Express Card. It is good that there is no foreign transaction fees. There can be high APR for you if your creditworthiness is not good enough. Very limited categories for high rewards points. 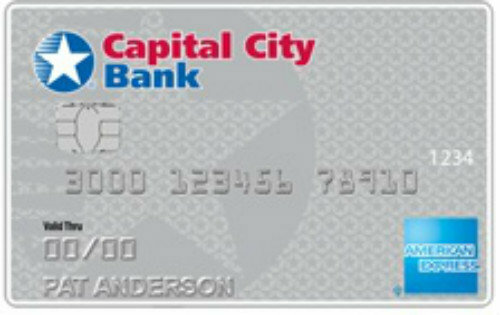 You can collect many rewards points with Capital City Bank Premier Rewards American Express Card, if you are visit restaurants very often or you are paying for airfare and gas. The card is providing 4 for every $1 purchases in restaurants, 2 points for gas and 3 points for airfare. You can also earn 10.000 extra bonus rewards points after you spend $1000 with your card. There is also no foreign transaction fees with the card. There is annual fee of the card which will cost you $99. However you don’t need to pay it for the first year. Cash Advance APR is a little bit high but the 3% fee is reasonable. Purchase APR and Balance APR can be quite high with the card but it can be also low. Bonus: 10,000 after you spend $1000 in first 3 months $0 for the first year. It is looking like a nice credit card. Any feedback from a cardholder please? Do you recommend this card?